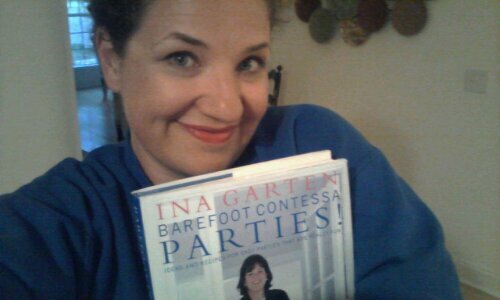 For my birthday, I received an autographed copy of Barefoot Contessa Parties!, an early cookbook by one of my favorite Food Network stars, Ina Garten. 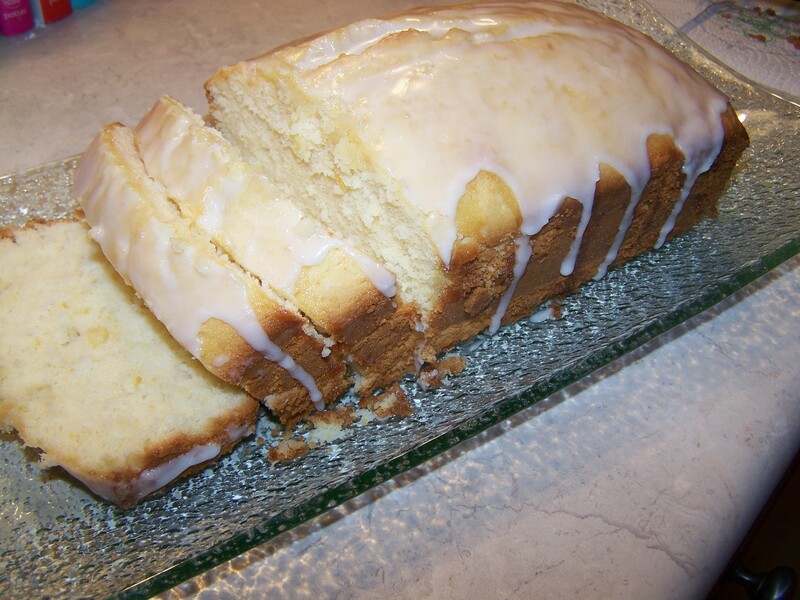 This delightful Lemon Cake is the first dish I chose to make from it and it didn’t disappoint! 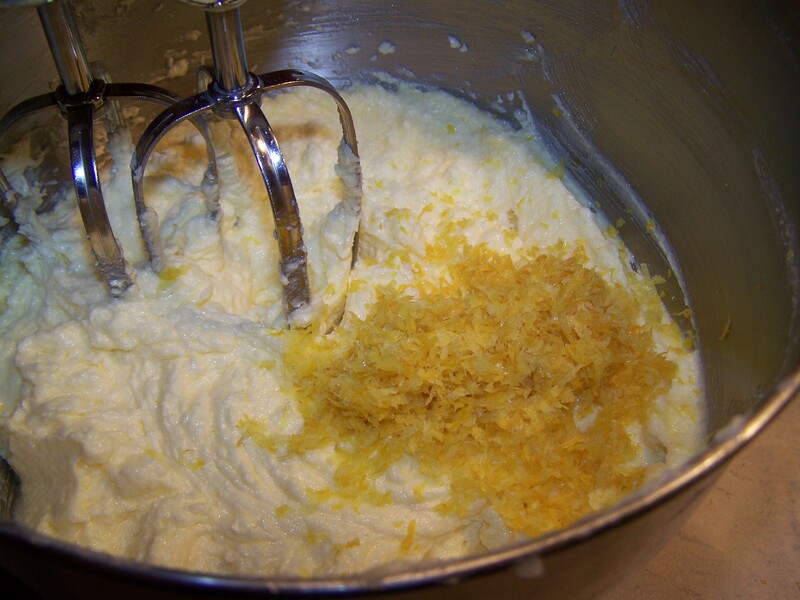 The recipe is intense…it requires lots of fresh lemon juice and zest. The batter is so light and fluffy! The zest looks really pretty when the cake is sliced and you can see all those little flecks of yellow. The stars of the Lemon Cake show! 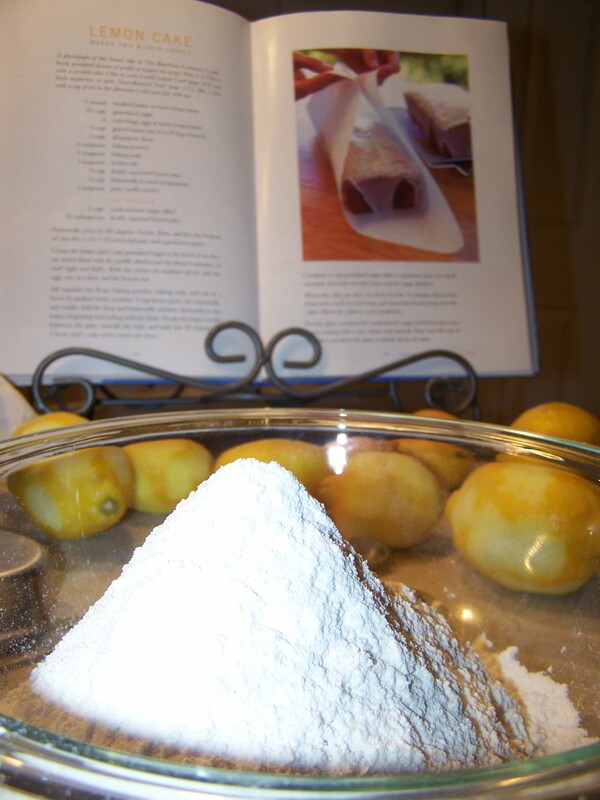 Ina usually always recommends sifting your dry ingredients, and it does make a difference! My assembly line! Sugar, butter, eggs, lemon zest and vanilla (left), buttermilk and fresh lemon juice (center) and flour, baking powder, baking soda and salt (right). 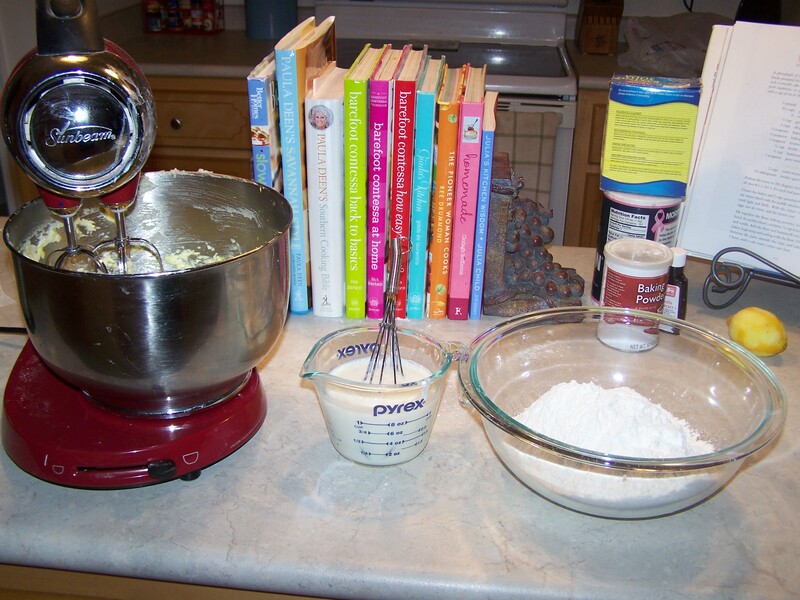 You add the dry and wet ingredients to the mixer alternately beginning and ending with the dry ingredients. Keep the mixer on medium speed or you’ll have a mess! 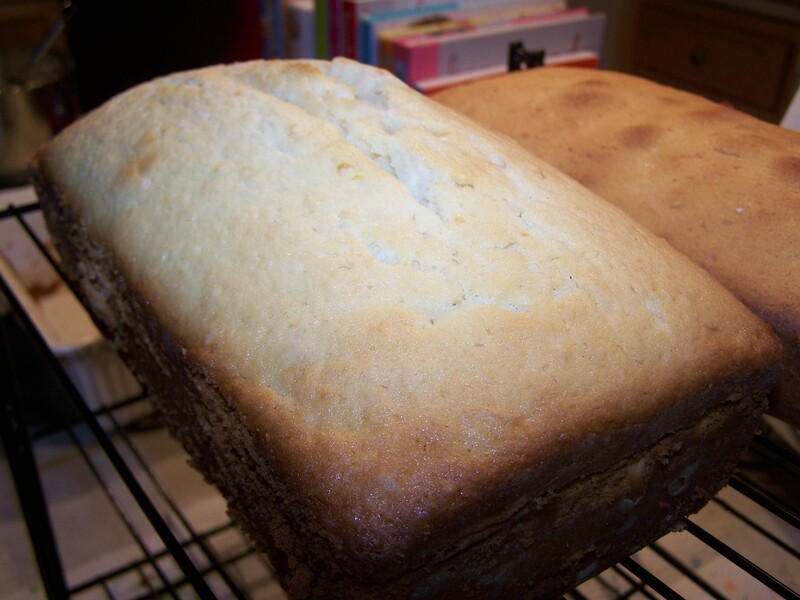 Bake the cakes at 350 for one hour, then let them cool. They turned out beautiful. I kept one at home and shared the other at work. It was a hit! 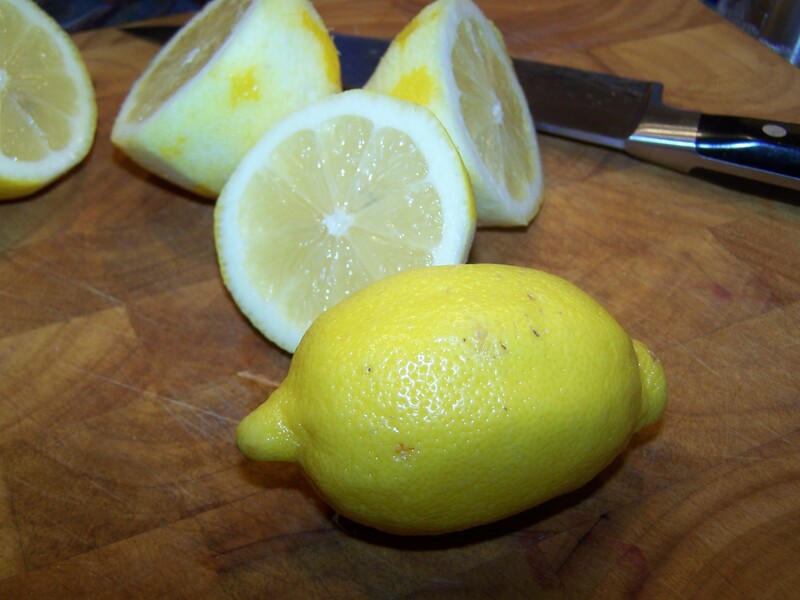 Meanwhile, whip up the lemon glaze. It’s just powdered sugar and fresh lemon juice. The hardest part about this is making sure it’s the right consistency. You want to be able to pour it. 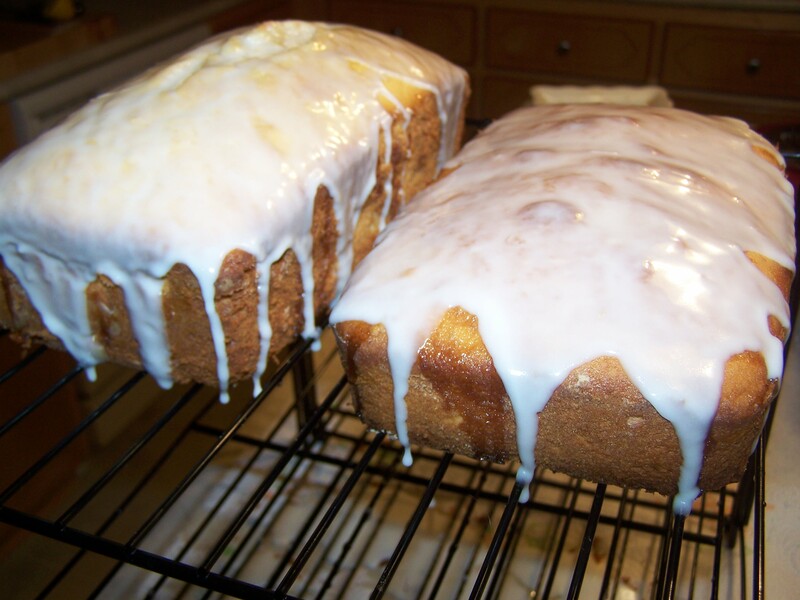 These cakes also include a lemon syrup between the glaze and the cake–if you look closely here you can see it. The syrup is a combination of sugar and fresh lemon juice dissolved and poured over the cakes when they are still warm. 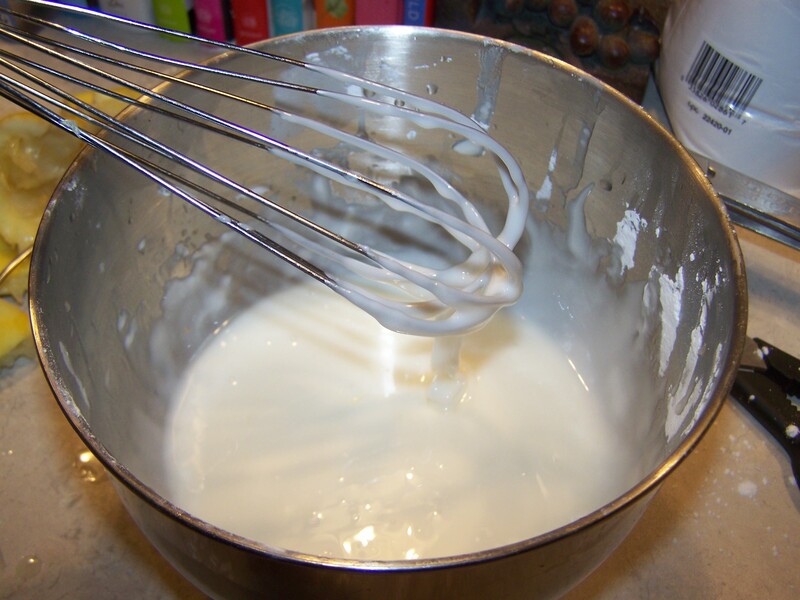 Once the cakes have cooled, you add your glaze and let it drip down the sides. YUM! 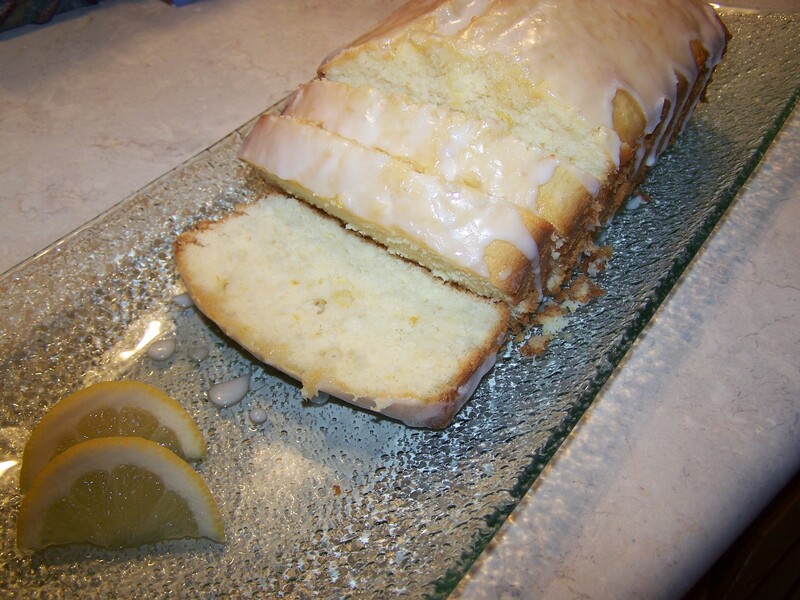 Slice and display the cake on a pretty platter garnished with lemon wedges. Really delectable. Do you see those flecks of lemon zest? Nice. I think I’ll enjoy a slice of cake with some hot tea as I flip through my new cookbook and decide what to make next! Thanks for sharing a loaf with us, your fellow employees. IT WAS FABULOUS!!!!! LOL! Anytime Kim. Glad you enjoyed it.